Stockton will be well represented inside the UFC’s Octagon for the foreseeable future. Cesar Gracie, the longtime manager of Nate Diaz, confirmed the grappler has signed a new four-fight deal with the world’s premier MMA organization. Because Nate did not have a license to fight in “The Volunteer State,” the commission wasn’t able to penalize him outside of a $7,500 fine. After competing in the UFC’s lightweight division in his first nine Octagon appearances, Diaz decided that he was sick of having to cut weight year-round and wanted to take a shot at 170-pounds. 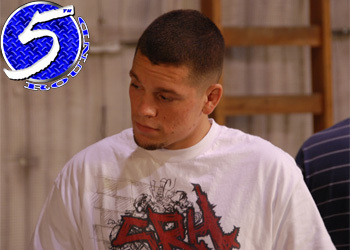 His first welterweight bout took place at UFC 111 in March where he defeated the gritty Rory Markham via a 1stRound TKO. The California native’s next fight is expected to take place at UFC 118 against Marcus Davis.